Mix the Seville oranges, cumin, salt, and pepper in a bowl. Add the shrimp and mix well, allow to marinate for 1 hour. Remove the shrimp and set the sauce aside. Heat oil in a large pan. Add the onion, garlic, and sauce that you set aside, and allow to boil for 2 minutes, until slightly reduced. Add the shrimp and stir constantly until cooked on both sides. Add salt and pepper to taste, and parsley at the end. Serve with a side of white rice, black beans, and sautéed asparagus. Shrimp will be cooked once they turn pink. Cuban mojo shrimp are an excellent idea for your weekly family menu. Even though they're easy to make, the presentation will make your family think that you’re dining out on a weeknight. 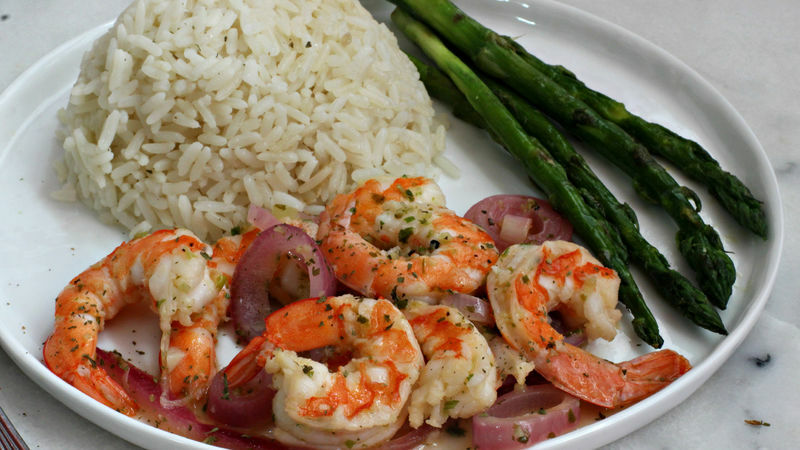 You can serve the mojo shrimp with white rice, beans, and some sautéed asparagus, or anything else your family enjoys.